Rarely seen actors of Bollywood, Aftab Shivdasani and Tusshar Kapoor’s recent offering Kyaa Kool Hain Hum 3 has completed its first week journey at box office with overall average business. The film was started very impressively but abruptly lost its pace and slowed down. Due to good initial buzz, it was expected to do better at box office but mixed reviews from critics as well as audience, have melted down all its buzz so early. The second unfavorable condition for it, is the adjacent release Akshay Kumar starrer Airlift, which is being loved by everyone. This adult comedy film did the total business of 20.15 crores in the opening weekend on Indian screens, that includes 8.15 crores of Friday, 5.50 crores of Saturday and 6.50 crores of Sunday. The abrupt fall in the business graph, clearly shows its failure in front of Akshay starrer. No doubt it could have been done better by shifting the release date. 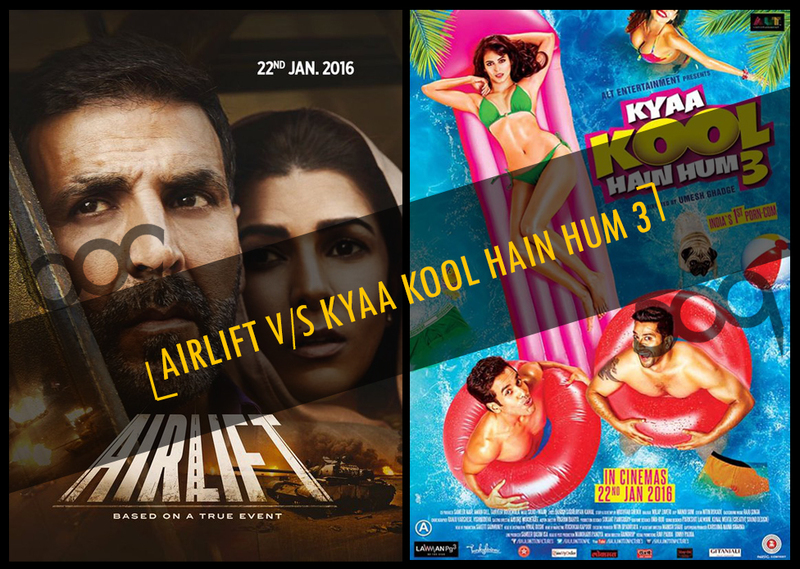 In weekdays, Kyaa Kool Hain Hum 3 witnessed more drops and lagged behind than the opposite one with very high difference. On Monday, it was recorded the drop of more than 50% and minted the amount of 2.75 crores. On Tuesday being Republic Day, it showed little rise in the business and raked 3.75 crores as its 5th day collection. Then on Wednesday, again it faced a heavy drop and raked the business of only 1.65 crore. On the last day of week, it added 1.35 crore to its account with almost similar response. Till the end of its 7th day, total first week collection of the film is calculated as 29.65 crores. Now from this Friday, another adult comedy film Mastizaade of Tusshar Kapoor with Sunny Leone and Vir Das, is being released. So the existing one is expected to packed up completely in this week only.